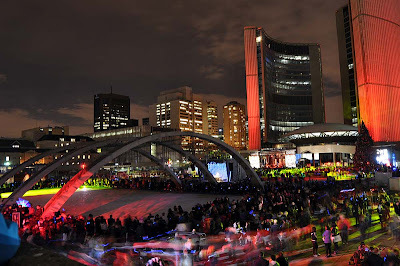 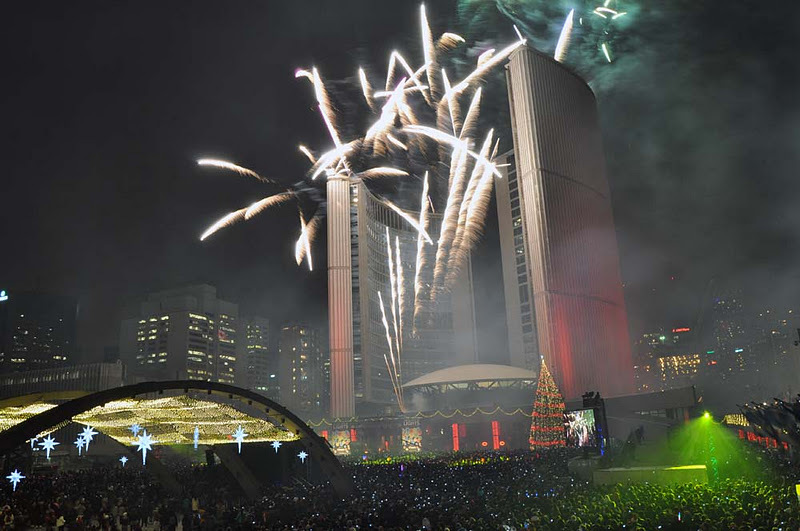 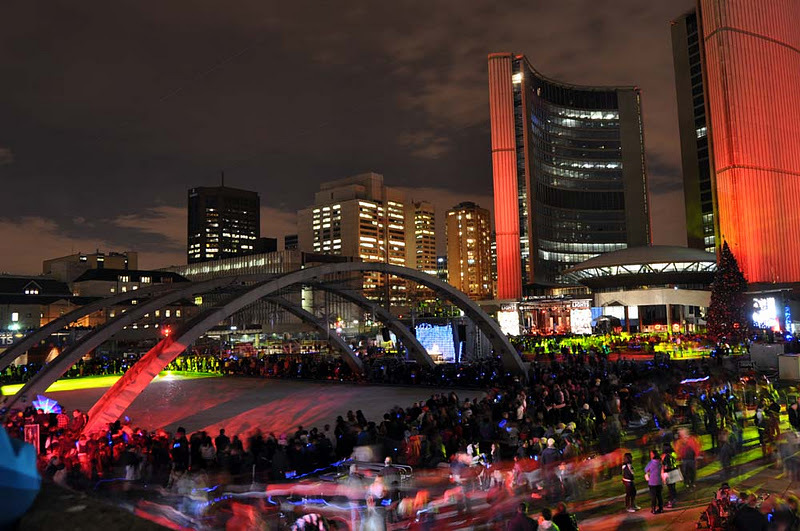 "On Saturday, November 26 at 7pm (pre-show starts earlier), Cavalcade of Lights a spectacular 45-year #Toronto tradition presented by Scotiabank, returns to Nathan Phillips Square. 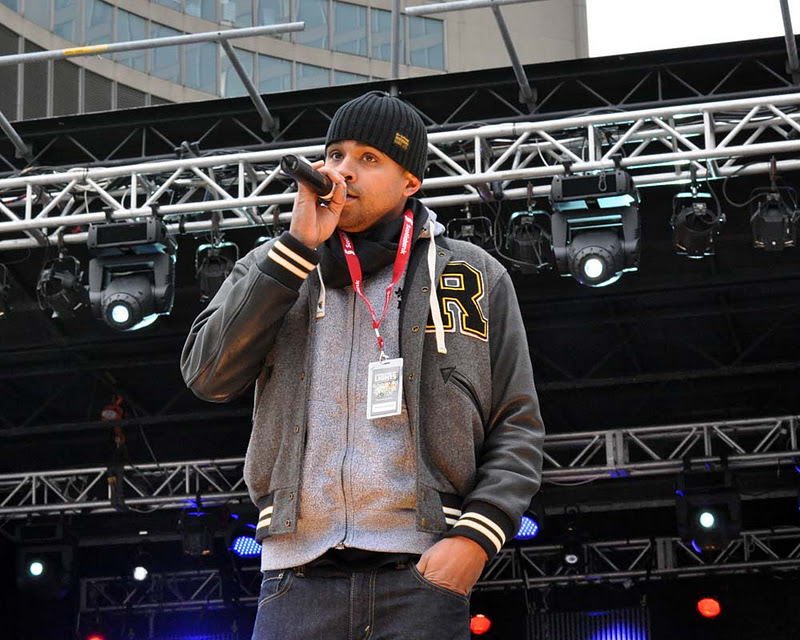 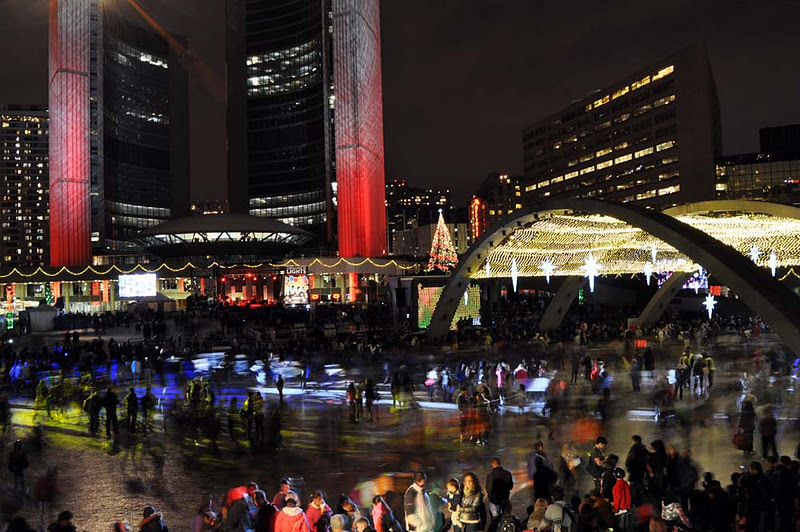 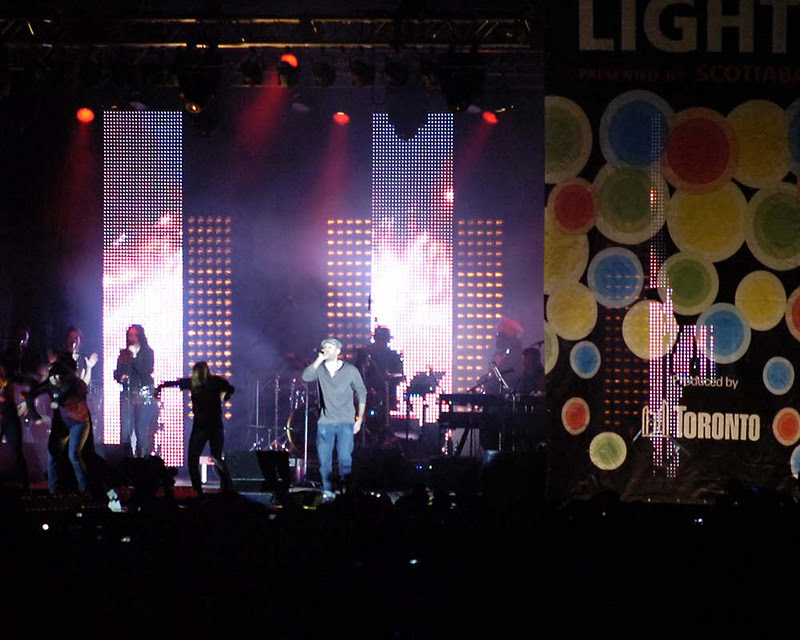 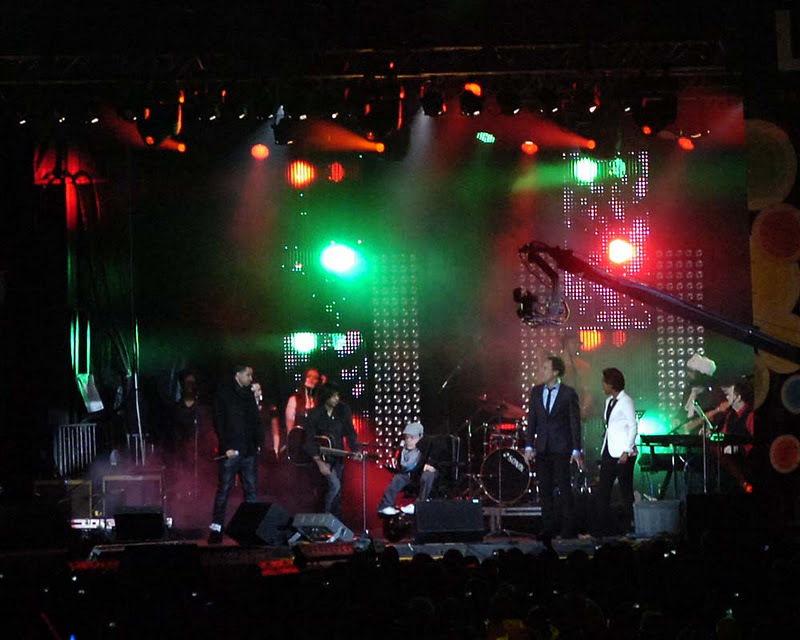 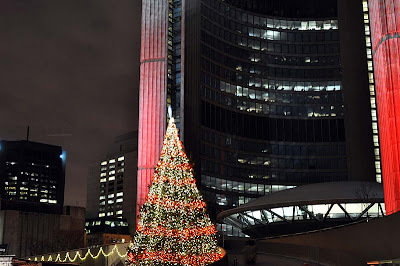 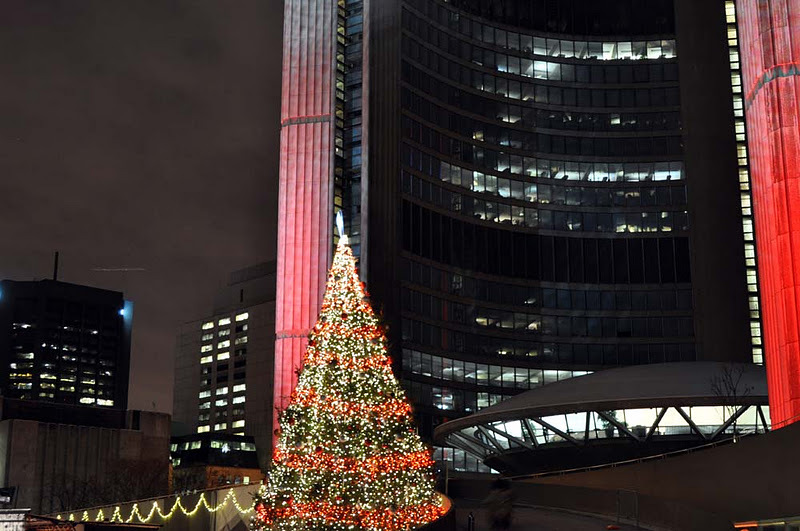 The night will feature the lighting of the City of Toronto's official Christmas tree, fireworks and live musical performances by award-winning artists Jarvis Church, Kellylee Evans, JRDN, rising star Justin Hines and singer Victoria Duffield. 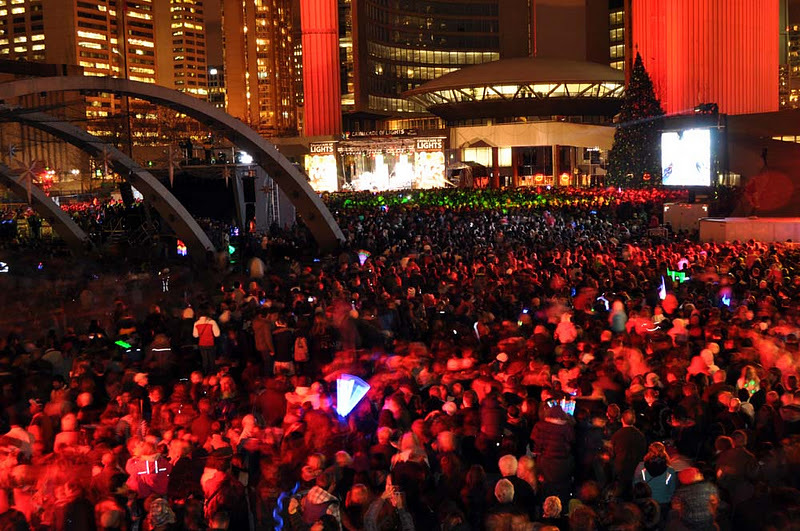 The concert will be hosted by Citytv's very own Kevin Frankish and Flow 93.5's Jeni and culminates in a spectacular fireworks display at 8pm, followed by a skating party. 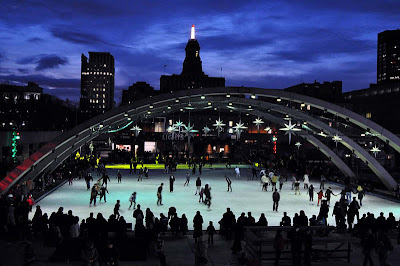 Meet champion figure skater and sports icon Jamie Salé from 5-7pm at the Burt's Bees tent for autographs and pictures." 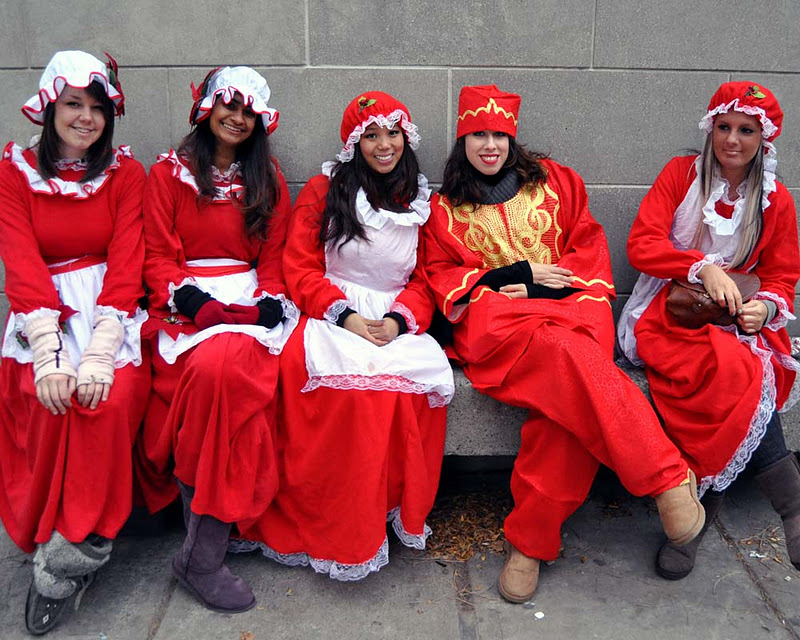 Burt's Bees is my wifes favourite chapstick so hopefully they will have some free samples. 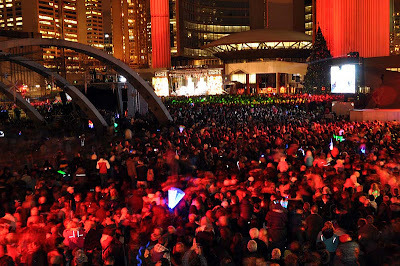 Joe and I did the night with Viking helmets, including the horns, and we plundered all night long. We were up on the walkway near the corner of Queen and Bay Streets where the removal of the Peace Garden opened up more views of centre stage. 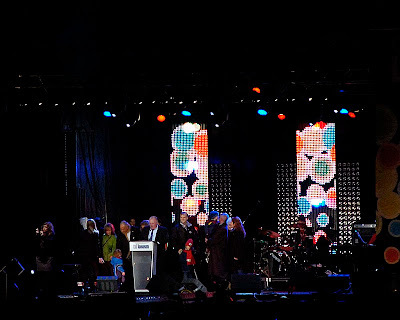 Check back for my coverage of this exciting event. 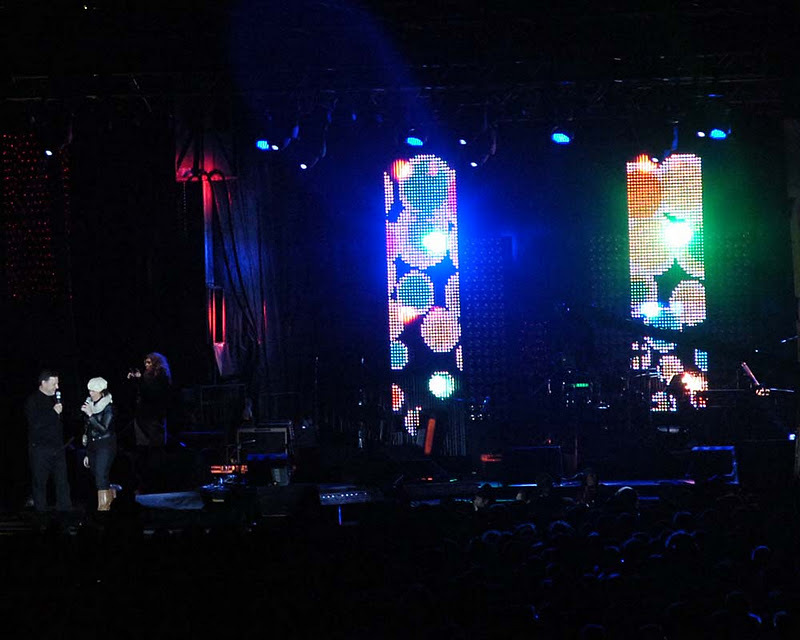 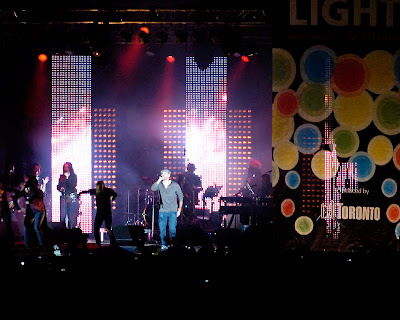 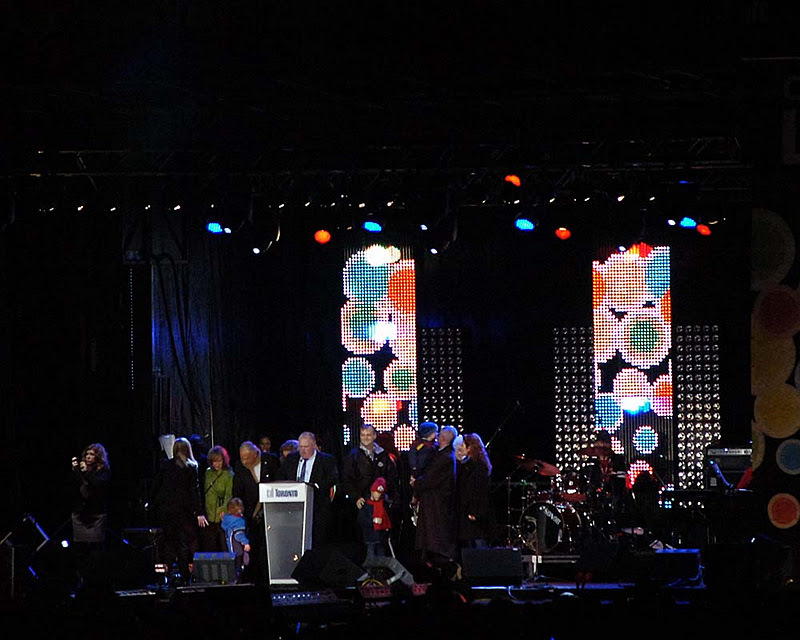 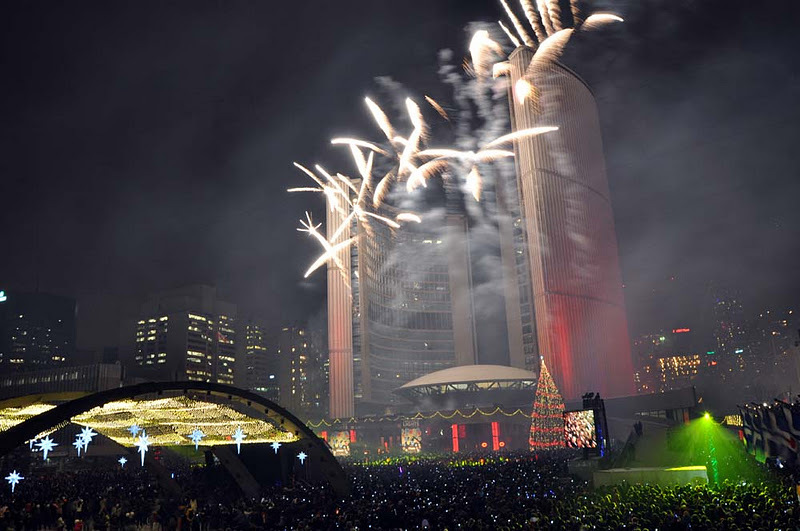 Here are photos from the 2010 Cavalcade of Lights. 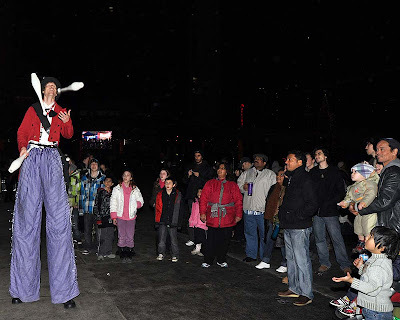 The fun features buskers (The Fire Guy, Tim Holland the Puppet Tamer and the Roaming Diva), concerts, spectacular lighting with over 100,000 LED lights and glittering stars that will be on every night during the holiday season. 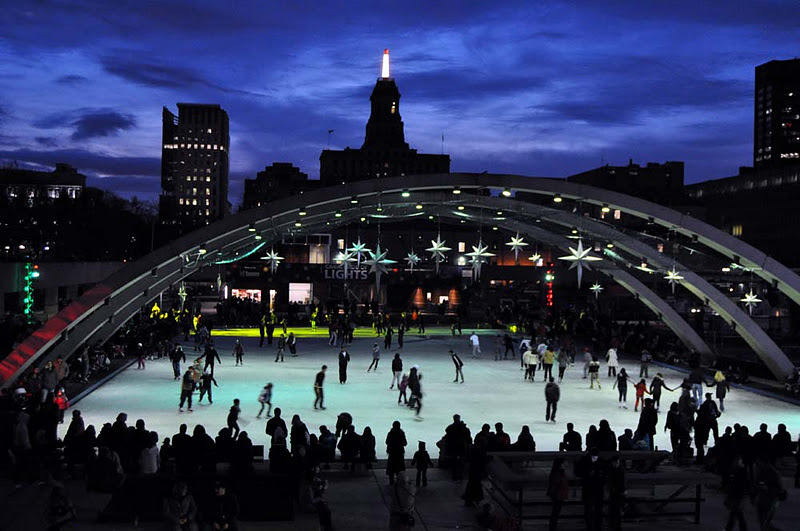 The skating rink is ready so you can skate under the Freedom Arches while enjoying the music by DJ M-Rock which is sponsored by Timothy's World Coffee. Mayor Rob Ford makes a speech before the fireworks. He started speaking to a few boos.